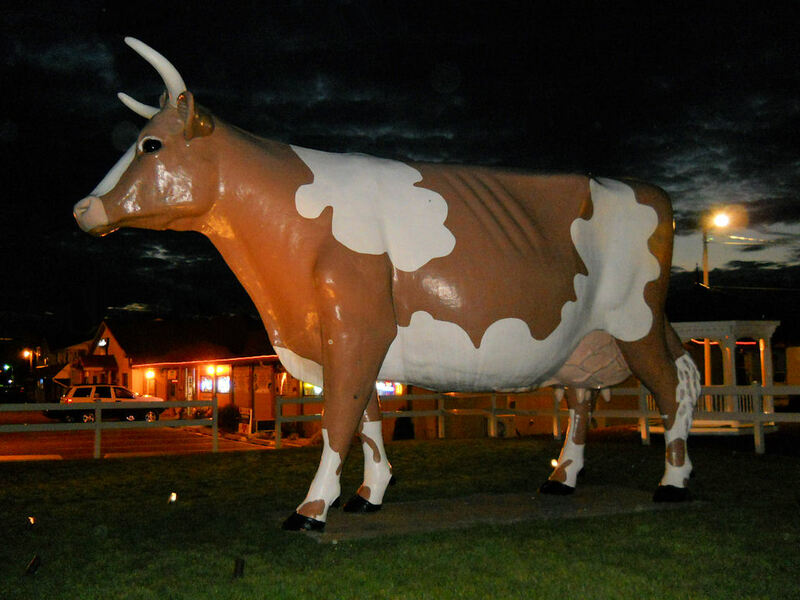 My plan was to find the giant cow just outside Wilkes-Barre long before the sun went down. 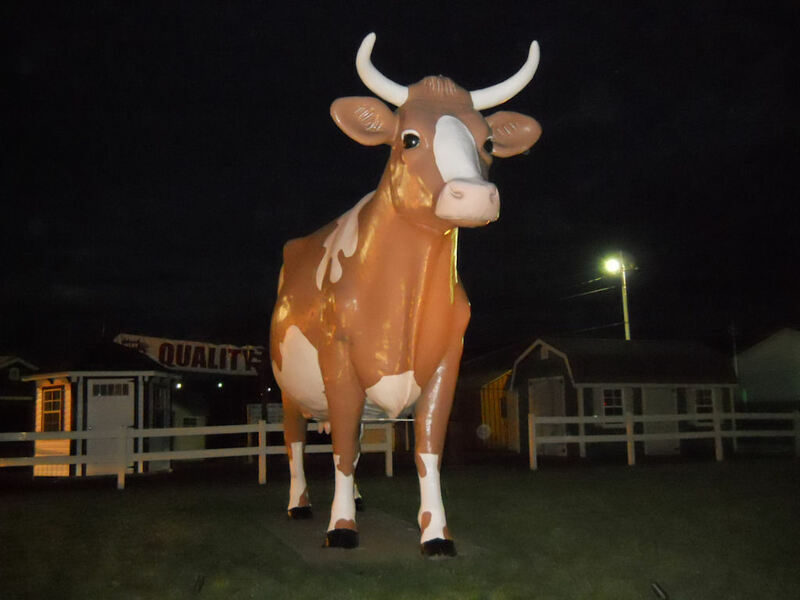 Things didn’t exactly go as I planned … but luckily the former Gorman’s Dairy mascot is fairly well-lit for nighttime photo-ops! 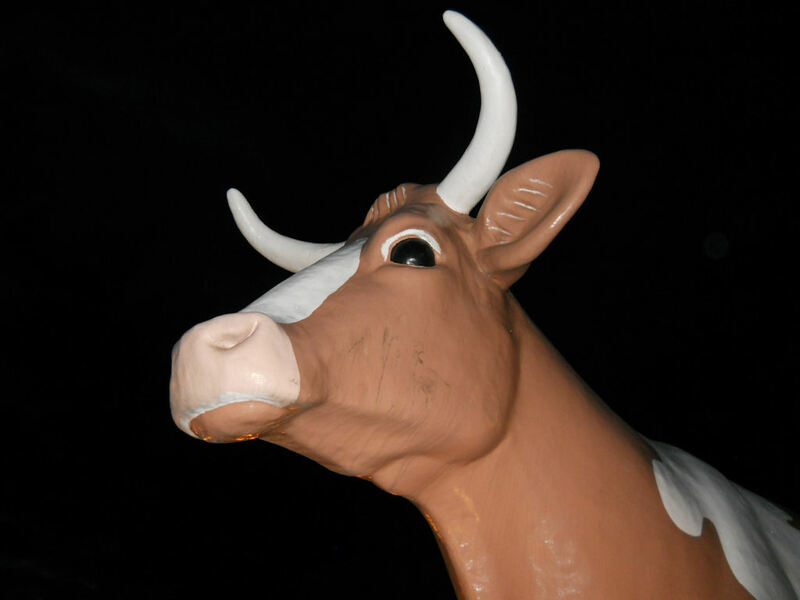 Since 1967, the cow (nicknamed “Three-O-Nina” — a play on words for her location on Route 309) has been a Wilkes-Barre landmark. I just have to know why they make the utters so lifelike with the veins though? You’d think that would be stylistic detail they could overlook. Your pictures make her look so…ominous! The third one looks like the final scene from “Cloverfield,” or the last thing you would see while strapped to an operating table on the Planet of the Cows! So glad so many people appreciate the cow! My mother was the original owner of the dairy and the cow. I was just 8 years old when we got the cow. The naming was done via a contest. I have always considered it to be a great memory of my parents.